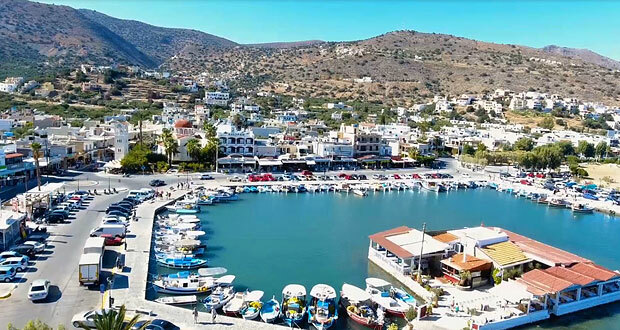 Elounda, which was originally a fishing village, is located in the north-eastern part of Crete, approx. 80 km from the airport in Heraklion. 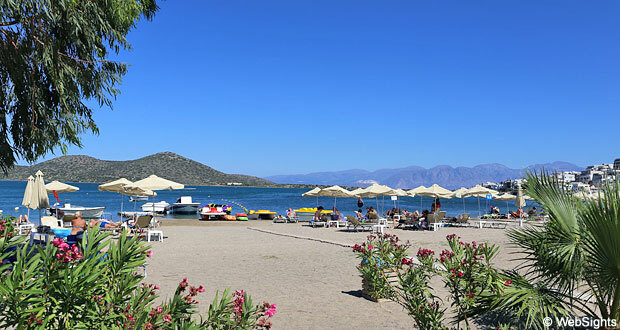 The main beach in Elounda is a lovely 200 m long sand beach right north of the harbour. The fine-grained sand is golden. The water is relatively shallow and almost always calm as the beach is well protected inside a bay. It is possible to rent sun lounges and sunshades at the beach and there is access to showers and toilets. It may be a challenge to find a parking space during the high season. Behind the beach there are several areas with palm trees and flowers. 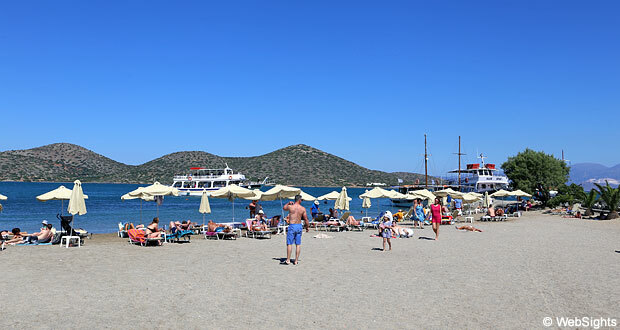 The view from the beach is also in a league of its own; partly of the mountains around Elounda and partly of the island of Spinalonga. 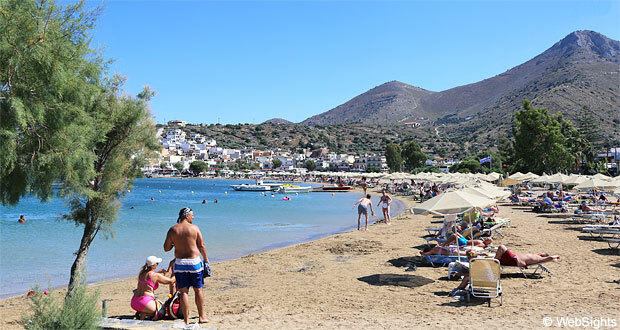 The main beach in Elounda is very child-friendly. Lovely soft sand and relatively shallow and calm water. There is a water sports centre at the beach offering a few types of water sports. It is also possible to rent water bikes. 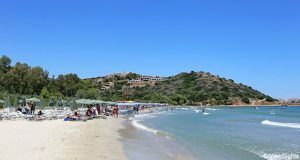 There are several restaurants and tavernas close to the beach. By the harbour, just south of the beach, the selection is even bigger. Elounda is one of the most exclusive holiday resorts in Crete. The town still has some of its Greek charm, but the shops and restaurants are more luxurious than usual in Crete. 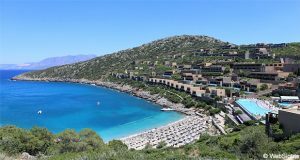 Generally, the hotels are also of a very high standard, in particular the 6-star luxury hotel Elounda Beach. From the harbour in Elounda, it is possible to sail to the island of Spinalonga, which was a leper colony from 1903 to 1957. There are many departures a day and the trip only takes about 15 minutes.